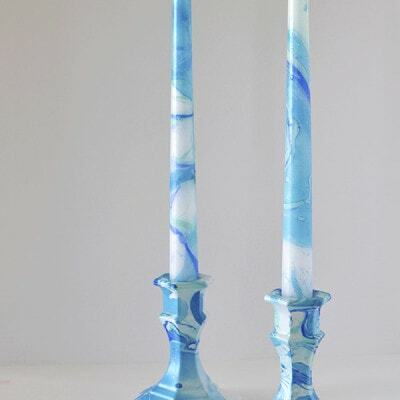 I’m back today with another marbling project. 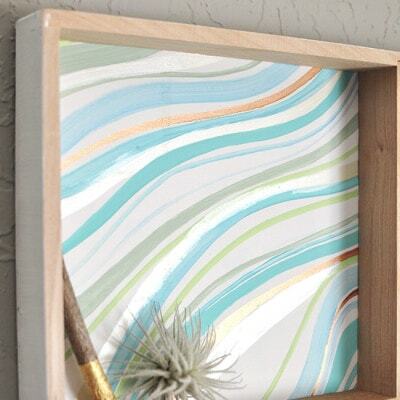 And as if I wasn’t already marble crazed, I have fallen in love with this technique and on the spot this one project turned into three… so I’m letting you know now, there are two more coming! 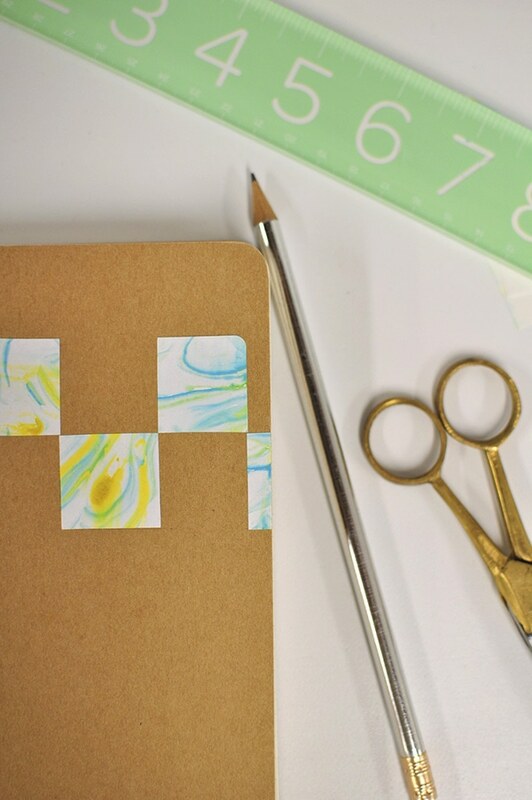 Today I am sharing this super easy, super fun DIY Marbled Notebook. Be ready. 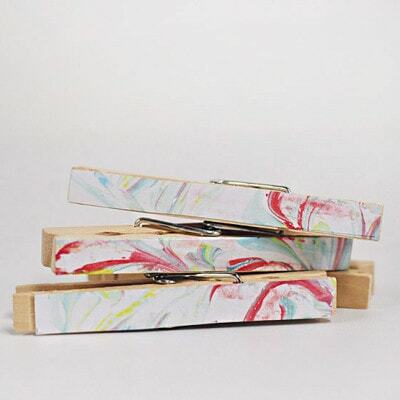 This is SUCH a fun craft project, you will immediately want to marble everything in sight. This would be a fun kid project, too! Depending on the size of your labels, spray about 1-2″ wider and 1-2″ thickness of shaving cream into your plastic container. I wasted a ton of shaving cream spraying out a much larger area than needed. 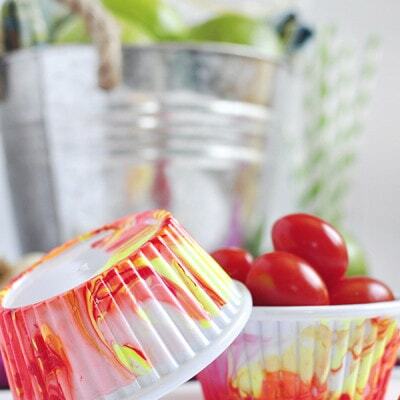 Using your food coloring, add a few drips and drops throughout the cream. I did three or four drops of each color. 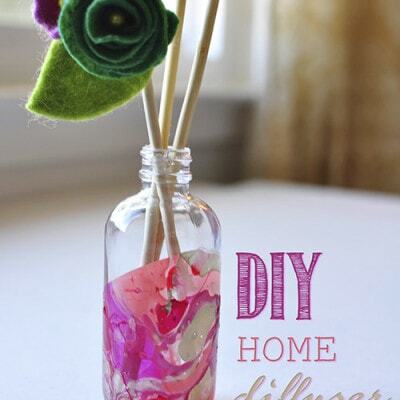 Using a wooden skewer or paper straw, gently stir the colors. If you want a more muddled look, stir heavily… I went for a light stir. 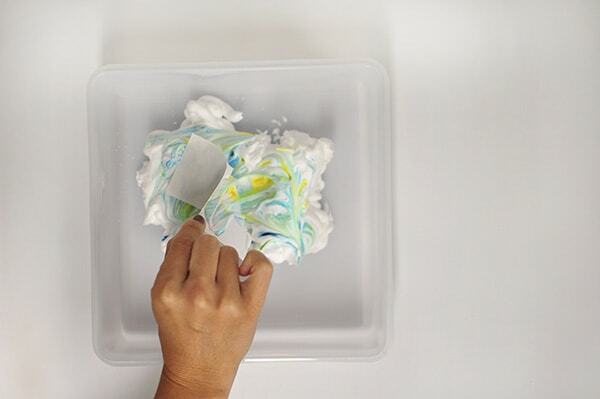 Next, take your label and press it lightly onto the shaving cream with the paper side down. Don’t let it sit too long, as it is paper and will soak up too much moisture. 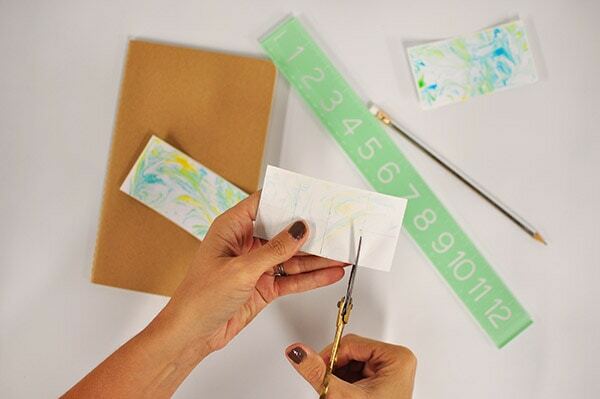 Remove the label and place on a piece of paper. I used a clean paper straw then to wipe away all the excess shaving cream. Be prepared for marble MAGIC! 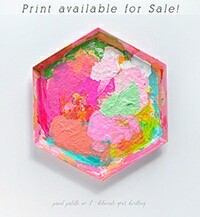 Set it aside to dry. After mine were fairly dry, I placed them under a stack of books to flatten. 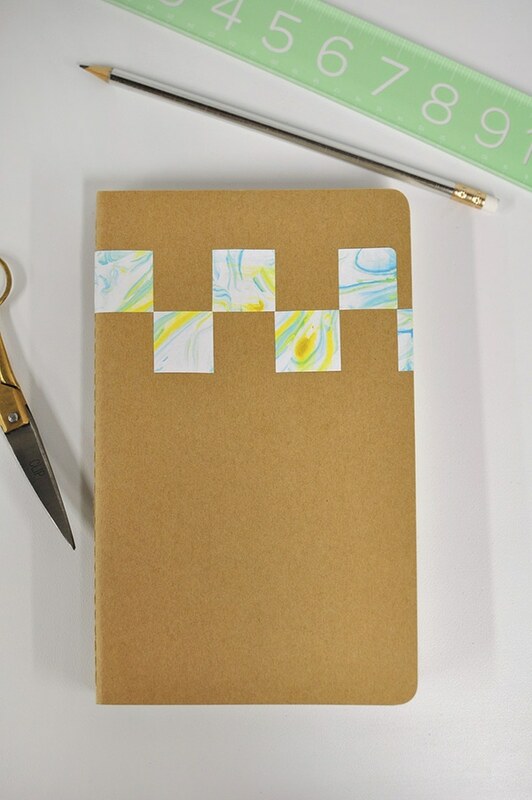 After my labels were dry, I measured out 1″ squares and cut them down to size. 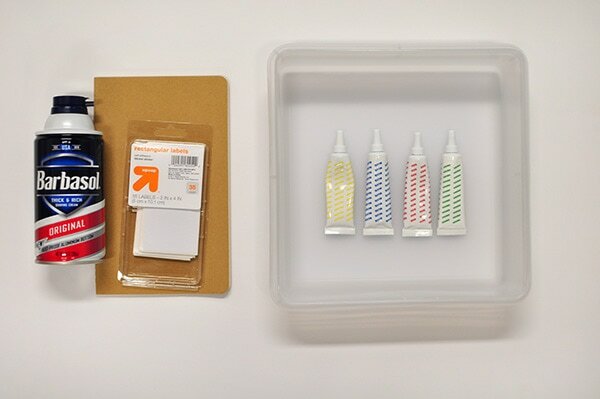 Then, I removed the label’s sticky backing and adhered them to my Moleskin notebook. 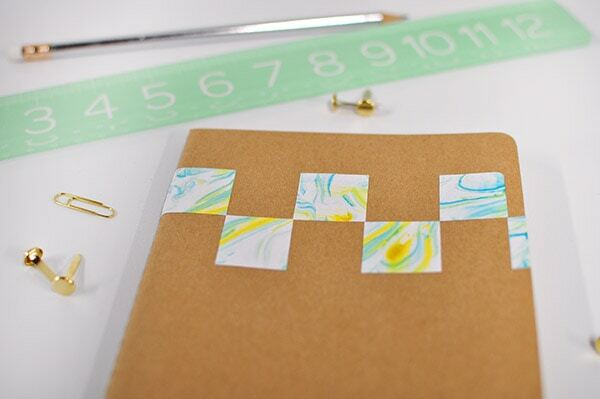 I was so inspired by Sara from Tell Love and Party’s Marbled Notebooks she created a few months ago. I wanted to add my own twist and I think marbling on these labels allows for endless patterns and designs! 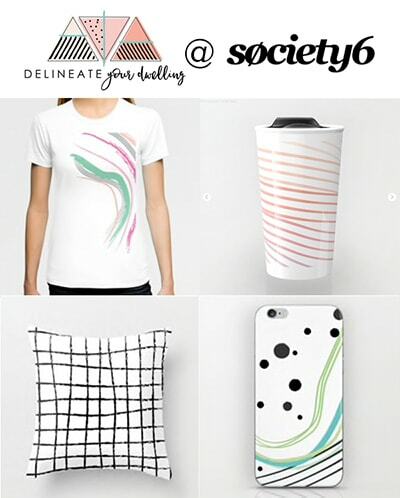 If you’ve been following Delineate Your Dwelling for long, you know I have a #crush on all things paper. 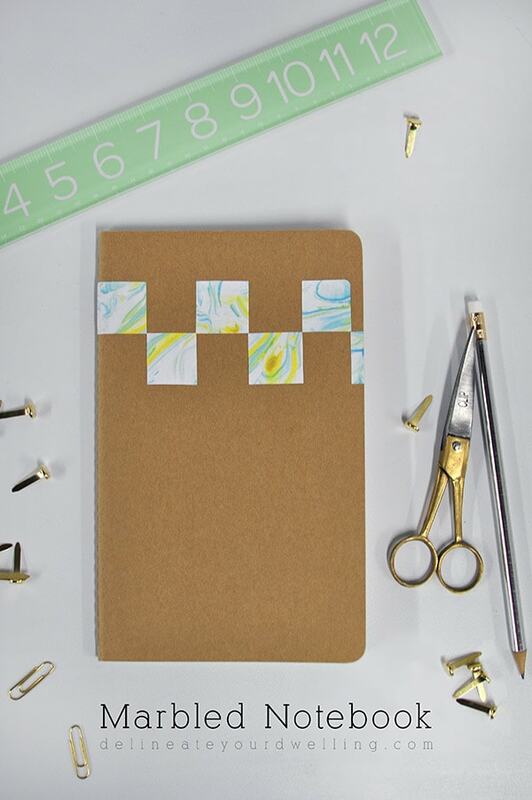 I’ve made watercolor notebooks, painted notebooks and covered notebooks in scrapbook paper. Now I can officially add Marbled notebooks to the list! 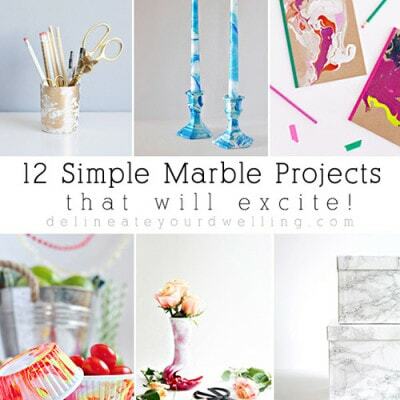 You might like these other marble projects I made, too!! Thanks Emma! I know, I just made these notebooks last week and have shaving cream marbled three things already!! Aw, thanks Christine! It’s my newest favorite thing! !